Miriam Newman is currently somewhere in western Ireland, doing research for the sequel to this new release The Eagle's Woman. In her absence, her friends have been allowed to go "behnd the scenes" of this blog to post celtic-themed articles. What better article to wish Miriam "bon voyage" and to celebrate her latest book? 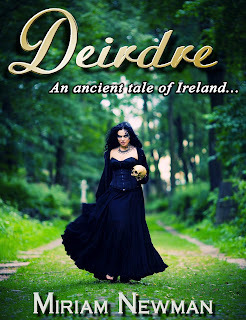 This is a review published by YouGottaRead Reviews on September 28, 2012--in time for her leaving for the shores of the emerald isle--and we publish it here on her own lovely blog. Reading The Eagle’s Woman was to me like sipping a rare wine. The taste, the aroma, the heady fire of the words–I wanted the sensation never to end. Ah, Miriam Newman, you are the keeper and dispenser of poetic prose. You make me drunk with the pleasure of reading. Like the two other novels by Newman I have read, The King’s Daughter and Scion, this latest one focuses on one powerful man and the woman he has come to “own.” And like those two books, the man is strong, resilient, even sensitive; while the woman keeps herself at an ironic distance, measuring and unyielding, yet irresistibly drawn to him. 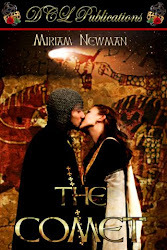 Unlike those previous novels, which were set in almost fantasy universes, The Eagle’s Woman takes place in a setting cold, beautiful and real–the ninth-century Norway of the Vikings. Newman describes longships on the rough sea, steamy sauna baths and fire-lit longhouses with the sureness of a writer who has been in those very places. The pace of the novel is swift and sure. 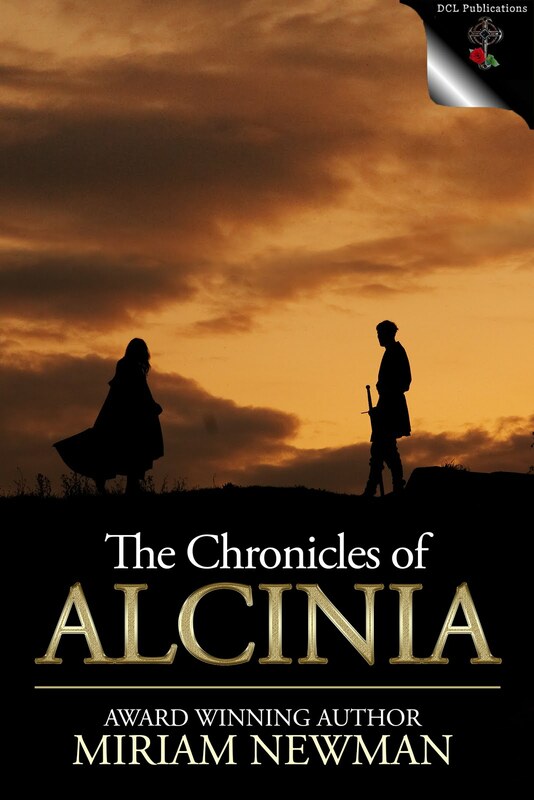 The author takes us from the longship to Ari’s home in Norway; and from there to a distant coastline where Maeve has been brought as a captive again–this time by Ari’s malevolent half-brother. Here’s to beautiful writing, and to a satisfying love story. 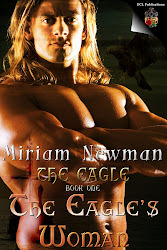 I raise my glass to you, Miriam Newman, and to your latest triumph The Eagle’s Woman. Leave a comment for a chance to win a free copy of Adrienne's book! One of the most important decisions you make as an author is when and where your story will take place. While some of us prefer to write about the here and now, others, like me, dream of stories set long ago and far away. For me, the past evokes a certain kind of longing and magic that I find more difficult to realize in the present. Far from the tiny, winged creatures popular in British culture, Irish Faeries are tall, beautiful, extremely proud and amoral. The more I read about the Tuatha de Danaan, the more I wanted to write about them. A recurring theme in Irish mythology about the Tuatha de Danaan is the idea of paradise; the land of promise as it is spoken of in some sources. In Faerie land there is no suffering, no disease, and no one ever grows old or inform. Those who enter its enchanted borders are young and beautiful forever. Of course, nothing is ever quite what it seems. What does it mean to live in this kind of eternal paradise? And how does perfect happiness affect our bonds to one another? In To Dance in Liradon, my heroine, Brigid, must ask these very questions when she lifts the veil that separates human from Faerie. I love naming heroines, and I chose Brigid as a nod to the Celtic Goddess of Fire. 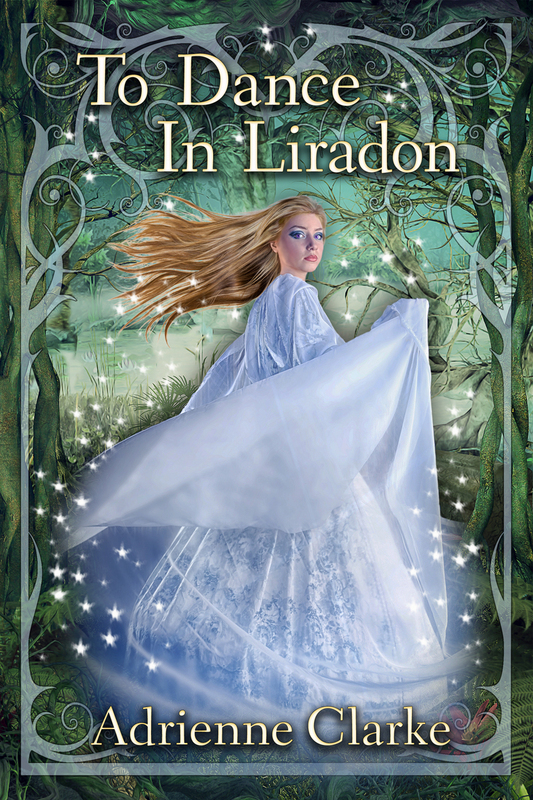 To Dance in Liradon takes place in two distinct but intimately intertwined worlds, Faerie and human. The juxtaposition of these worlds intrigued me, different as light and dark, but like light and dark they define one another. Both have the power to lure and enchant, but in very different ways. The Irish poet W.B Yeats imagined interactions between Faeries and humans as a magnetic pushing-pulling attraction, one for the other. My story unfolds when Brigid finds herself torn between two worlds and two men as she struggles to understand who she is and where she belongs. It takes courage for a young woman to walk among the Fair Folk, who think themselves the noblest race on earth, and even more courage to find out what to dance in Liradon really means. Fantasy writers spend many hours creating new and exciting worlds for their readers, and many of them draw on mythological sources. I’ll never forget my visits to Narnia, Middle Earth and Prydain. These books, among others, inspired me to create my own fantasy worlds. But the human world is beautiful too, in all its flawed, imperfect mortality. My hope is that To Dance in Liradon gives readers a glimpse into both Faerie and human worlds, and that they are in some way moved by what they find there. To Dance in Liradon is now available from Soul Mate Publishing! Seventeen-year old Brigid O'Flynn is an outcast. A chance encounter with the Faerie Queen left her tainted in the eyes of the villagers, who blame the Faerie for the village’s missing women and children. Desperate to win the village’s acceptance Brigid agrees to marry her childhood friend: Serious, hardworking, Connell Mackenna. But when Connell disappears before their wedding Brigid's hopes are shattered. Blamed for her fiancé’s death, Brigid fears she will suffer the same fate as the other village outcasts, the mysterious Willow Women. 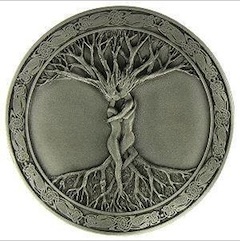 Lured into Liradon by their inhuman lovers, and cast out weak and broken, the Willow Women spend their lives searching for the way back into Faerie. When Connell suddenly reappears Brigid is overjoyed, but everything is not as it seems. Consumed by his desire for beauty and celebration, Connell abandons his responsibilities, and Brigid soon finds herself drawn into a passionate, dangerous world of two. I set out to write a story involving the Picts of ancient Scotland and I ended up writing a trilogy that revolved around an Irish clan and a vengeful goddess. After discovering Aedan mac Gabrain, it was hard to resist basing my hero on him. After coming under pressure from the powerful Ui Neill clan in Ireland, the clan Gabrain came to Scotland (known then as Alba) in about 500 AD to form the kingdom of Dal Riata in what is now Argyle. There were two other clans, but the kings from clan Gabrain served as the high kings of Dal Riata. The Dal Riata clans had embraced Christianity while most of Alba had not. Aedan mac Gabrain became king of Dal Riata in about 574, picked to be king by the famous St. Columba. This Irish king was known as the most feared warlord of his time by his contemporaries—the British King Riderch, King Urien of Rheged and King Morcant of Gododdin. They formed the Northern Alliance to battle the Picts and Angles. Aedan grew up around the River Forth, his younger years shrouded in mystery. What fascinated me most about Aedan mac Gabrain was that he supposedly fathered a king of the Picts, yet there are recorded battles between him and the Picts. Did he fight against his own son or did he help his son? Also, in the Welsh poems he is called ‘Aedan the Treacherous’ for invading King Riderch’s stronghold, but it doesn’t explain what led to this behavior. Another thing that fascinated me about Aedan was that in a time when people died young, he lived to be at least 74. And he was present on the battlefield at 70. There is no record of his death, only that after his final battle and defeat at Degsastan, he was no longer king. The clan Gabrain has another notable legacy—Kenneth MacAlpin, the first recorded king of Scotland, is believed to be descended from this clan. How could I resist such a fascinating historical figure? For my hero, I saw Aedan as a shrewd, formidable man, two important requirements for a successful king in a time of shifting alliances, betrayal and determined enemies. In my mind, his mate would have to be strong-minded to match his wit and strength. I decided to make her a pagan, which would be the cause of much conflict between them. 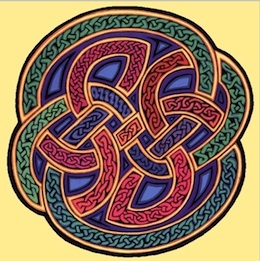 And much to my delight I was still able to write a story with the Picts since Aedan had a connection to them. Galan swayed on his feet, looking taken aback by Aedan's sudden attack. “Mordag, see to it that my brother gets to his bed safely,” Domelch ordered, hurrying to catch up to Aedan. “Not now. I am tired.” Aedan kept walking at a fast pace up the path to their dun. The lamps lining the path flickered erratically as he passed them. “Even if he remembers who I was before, that means nothing. I love you.” She panted, trying to keep up with his quick stride. “It is obvious that he is still obsessed with ye.” He quickened his pace. She could not. She knew that she should hate Galan for he did all those terrible things to her, but…that part of her that she thought lost had enjoyed it. She didn't love him. She never did, but she did care for him for he had shown her kindness later when she needed help, when she had no one else to turn to. “I thought as much.” His face looked frightening in the flickering light, his jaw set in anger. Anger rose inside of her, anger only Aedan could raise. The blood rushed to her face, ringing in her ears. “If you want me to hate you, then you have succeeded.” She turned to flee from him. Her pulse raced and her body flushed from anger. “Yes.” She struggled against him, but the hardness of his male body aroused her and she felt his erection pressing against her. She wanted to feel nothing for him, her anger making her stubborn, but her body betrayed her, tingling in places she had no control over. She stopped struggling and submitted to his touch, falling limp in his arms. “Yer body does not hate me,” he whispered, crushing his lips to her mouth, kissing her roughly. Anger turned into passion. Her body burned with desire underneath his touch. All three books of my Dark Goddess trilogy are available in Print and Ebook. Set in Dark Age Scotland, I mixed history with a Samhain/Beltaine myth that revolves around an Irish clan and the goddesses Brigit and Cailleach. 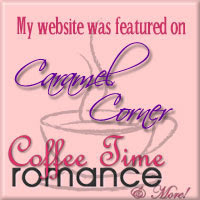 Welcome to a weekend of book promotions at The Celtic Rose Blog--Saturday, September 8 and Sunday, September 9, 2012. Authors - Please feel free to promote your new releases and back list books in the Comments section. If you can replace your avatar with your book cover, great. We'd love to see some covers. Blurbs, excerpts, buy links--all are welcome. And if you'd like to offer those who leave comments a free book or other incentive, please mention it and check back through the comments for names and emails. Readers - We hope you'll enjoy this selection offered throughout the weekend from Celtic, historical and fantasy authors. Here is a great way to see new releases. You can copy and paste buy links right into your browser to go see more of these books. If you have an interest in a specific giveaway, please indicate that in your comment and be sure to leave your email address. 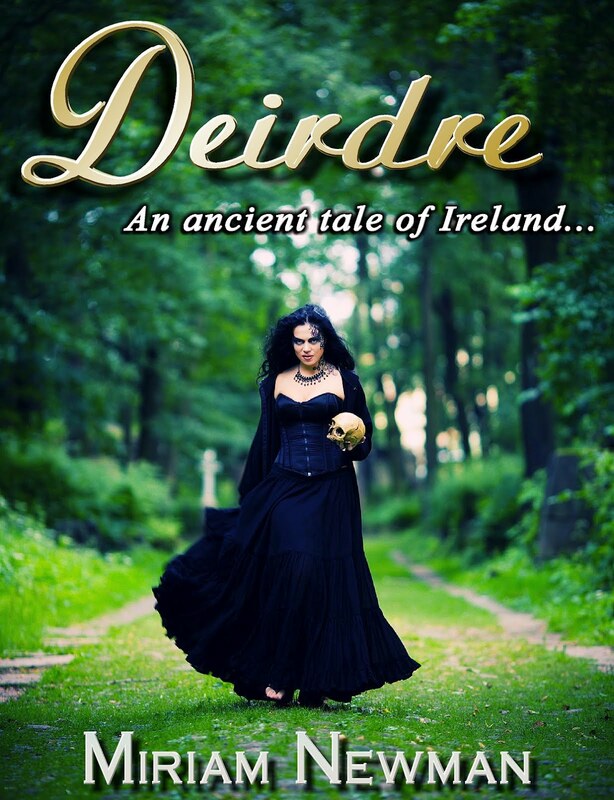 Erin O’Quinn: Some months back, when I was writing the final chapters of my historical WARRIOR, RIDE HARD, I wrote a passage that hit me today like “déja vu all over again.” I had the immigrants to Derry choose a huge old oak tree as the spot to build their church. 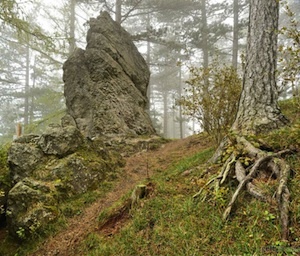 Gristle, the head of the expedition who had guided the people to that spot, removed a portion of the rugged bark and inscribed a slash mark to note “day one” of the settlement. It was here that the people built a large clay-and-wattle roundhouse that served as the Church of Derry. 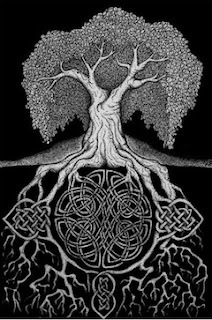 When a tribe cleared the land for a settlement in Ireland, they always left a great tree in the middle, known as the crann bethadh (krawn ba-huh), or Tree of Life, as the spiritual focus and source of well-being. They held assemblies and inaugurated their chieftains beneath it so that they could absorb power from above and below. . . . 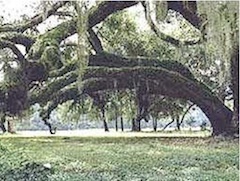 Even though I had no knowledge of the tradition, I naturally selected that old oak to be the spiritual center of a settlement whose very name Daire comes from the Irish Gaelic word for “oak.” My friend Miriam would tell me that the spirit that moved me to select that oak is the same spirit that drove people from time immemorial to place their spiritual center at or in a tree. That same internet article on the tree of life goes on to say: From its roots drinking the waters of the Earth to its leaves reaching to the gods, such a tree was considered magical. The largest such tree in the middle of any settlement was invariably left standing and venerated. So respected was its power that the greatest ignominy warriors could inflict on a defeated village was to cut down their sacred tree, removing the life force from an entire group of people. 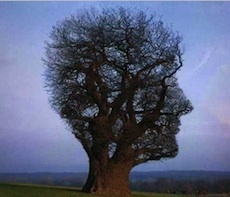 Both are modern images. 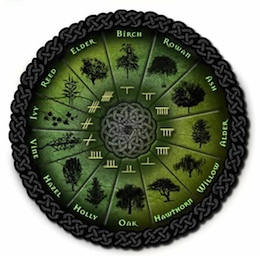 The one above is a representation of how the druids connected numerals written in the ancient ogham style with different trees. 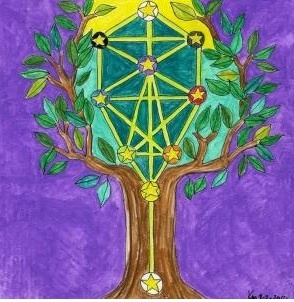 The one on the right is a sketch by artist Katelyn Mariah from her blog “Medicine Woman Art,” a rendition of the kabblalistic tree of life. Both emblems are heavy with mystic connotations, but the message is clear nonetheless. 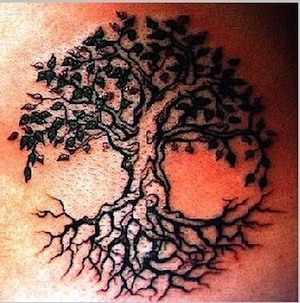 The spiritual center is a tree, whose symbolism we understand on an almost subconscious level. 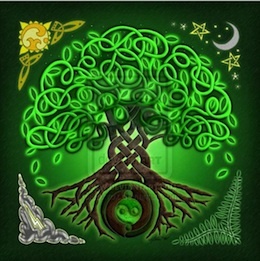 Many people have remarked on the fact that the well-known “celtic knot’ is a kind of tree of life itself, with roots and branches interwoven into an inextricable knot that echoes the endless cycle of life. 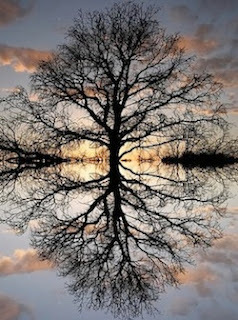 I think the whole elemental concept of trees–their roots sunk into the Earth, drinking its knowledge–was so sacred to the druids that we feel that power even in our times. 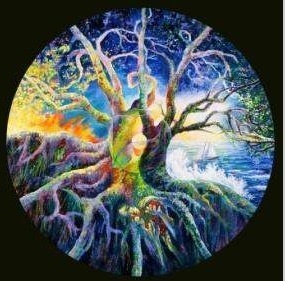 I believe the tree of life was simply that–the symbol of this life or any other. It was all the same to the druids. Nothing was ever lost, only changed, just as the water of the earth became the leaves that sheltered it. A very simple concept, really, yet so profound it represented an entire civilization.